An official said they are waiting for meteorological conditions to become stable and then use cloud seeding for inducing artificial rain. The Central Pollution Control Board (CPCB) is mulling inducing artificial rain in Delhi after Diwali to wash away hazardous pollutants that is plaguing the national capital. A senior CPCB official said they are in talks with the Indian Institute of Technology Kanpur and the India Meteorological Department (IMD) for inducing artificial rain after Diwali when the pollution is expected to reach "severe-plus emergency" stage. The official said they are waiting for meteorological conditions to become stable and then use cloud seeding for inducing artificial rain. Cloud seeding is the process of combining different kinds of chemical agents — including silver iodide, dry ice and even common table salt — with existing clouds in an effort to thicken the clouds and increase the chance of rain or snowfall. An IIT Kanpur professor said weather conditions are being monitored to become favourable for creating artificial rain. "We are supporting the project by providing salt mix for inducing artificial rain. The weatherman is monitoring weather conditions to become favourable for creating artificial rain," the IIT Kanpur professor, who is part of the project, said. In 2016, the government tried to explore the possibility of cloud seeding for artificial rain but the plan never worked out. Last year, the government has proposed the possibility of reducing dust by watering Delhi from a helicopter to Union Minister Harsh Vardhan. Delhi's air quality has again deteriorated to alarming levels in the past three weeks. 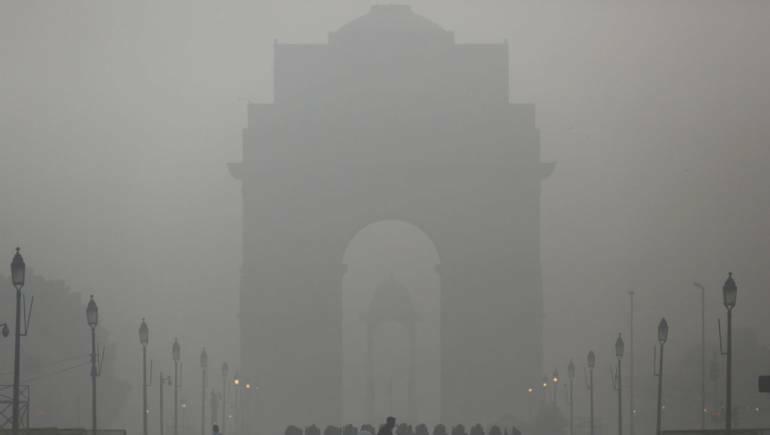 Delhi's air quality was recorded in 'very poor' category on Tuesday as wind continued to blow from regions where there is rampant stubble burning, authorities said, warning of severe spike in pollution levels after Diwali even if "partial toxic crackers" are burnt compared to last year.